Captivated Reader: Little Free Library finds in Sacramento, California!! 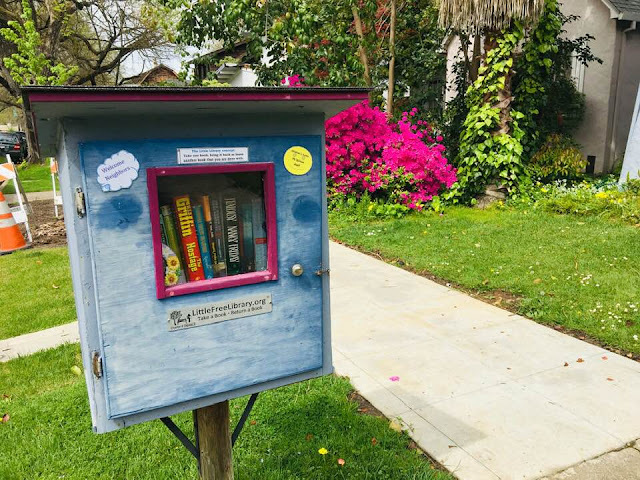 Little Free Library finds in Sacramento, California!! Last weekend, my husband and I visited Sacramento, California to celebrate our 17th wedding anniversary. During our visit, we found two Little Free Libraries in the Curtis Park Neighborhood of Sacramento... The Curtis Park neighborhood is so beautiful! Thank you! We had a lovely time visiting Sacramento from Friday through Monday. Happy belated Anniversary! I like that these LFL are so unique yet they seem to mimic the surrounding architecture. Thank you!! We had a lovely time in Sacramento. 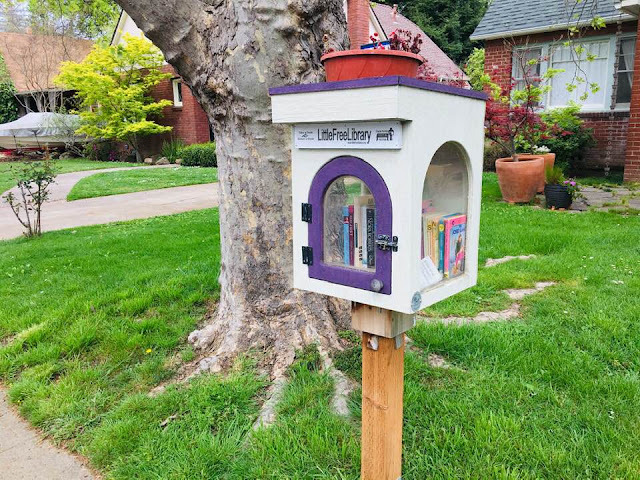 Yes, these are cute Little Free Libraries.